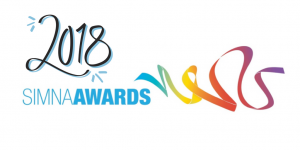 The Social Impact Measurement Network of Australia (SIMNA Ltd.) is calling for organisations across the country to apply for their annual awards. Now in its 4th year, the SIMNA Awards highlight the best, most innovative and most collaborative social outcomes measurement initiatives from the past year and celebrate those who are making better decisions for people and local communities. There are three award categories – Excellence in Social Impact Measurement, Social Impact Measurement Change Maker and Outstanding Collaboration in Social Impact Measurement. The winners will be decided by a panel of judges and announced at a glittering awards ceremony on 18 October in Sydney. SIMNA received a good response to the Awards last year and hopes to encourage even more applications this year. Poppy Wise, SIMNA Board member and Chair of the NSW Organising Committee said: “The SIMNA Awards is one of my favourite events of the year. There are more and more individuals and organisations trying to measure the difference that they are making. Last year, Women’s Property Initiatives won the ‘Excellence in Social Impact Measurement’ Award with a social return on investment (SROI) analysis that measured the benefits of safe, secure and affordable housing for women. The Change Maker in Social Impact Measurement Award was given to Alliance Social Enterprises, for their development of the Australian Social Value Bank (ASVB). And The Ian Potter Foundation won the ‘Outstanding Social Impact Measurement Funder’ Award, for its integration of stronger and more rigorous approaches to social impact measurement and evaluation across its grant making criteria and recipient requirements. Applications for the 2018 SIMNA Awards opened on 4 June and close on 31 August 2018. Application forms can be found on the SIMNA website: www.simna.com.au. Sponsorship opportunities are also available. Please contact info@simna.com.au for further information.